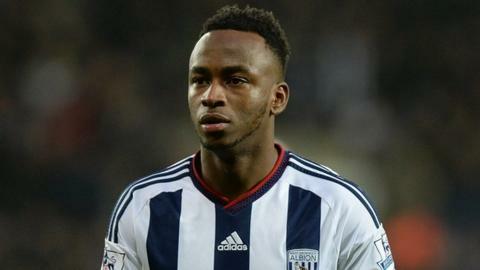 Newcastle United have made a £21m bid to sign striker Saido Berahino from fellow Premier League club West Brom. Baggies boss Tony Pulis said Berahino, 22, had "wasted three or four months" after a move to Tottenham was blocked last August. The forward suggested he would not play for Baggies chairman Jeremy Peace again after the deal did not go through. Berahino made a rare start against Peterborough in the FA Cup on Saturday and scored twice in a 2-2 draw. He took his tally for the season to six, while he has scored 22 league goals for Albion, and scored 20 in all competitions last season. "The chairman will make the decisions on the financial matters and that's really what it boils down to," said Pulis. "I think football-wise, everyone would want to keep Saido here. When you put Saido in front of goal, he's a goalscorer. "But we need to get him fit because he's not fully fit." West Brom are just seven points ahead of Newcastle, who are in the relegation zone, and may not want to sell to a close rival. The transfer window will also close on Monday, 1 February, which would give the Baggies limited time to find a replacement. However, if Newcastle succeeded in landing Berahino, he would join Jonjo Shelvey, Andros Townsend and Henri Saivet as new arrivals at the club.